Whether you are an avid sportsman, move occasionally or just looking for more comfort of motion in your daily life; Forever Move offers good support. The ability to move is often something we take for granted until that ability is decreased, or limited. 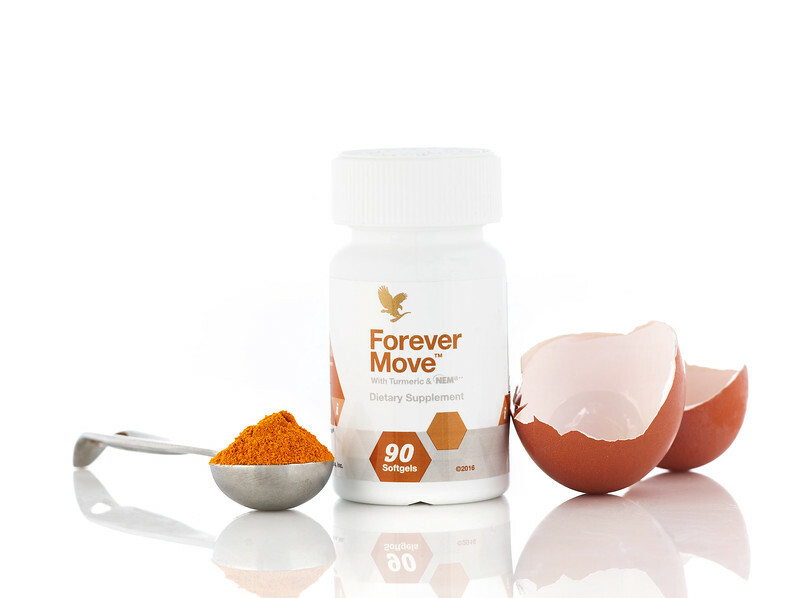 Move freely and support joint comfort and flexibility with Forever’s latest and most clinically advanced joint and muscle supplement, Forever Move™. Forever Move™ features a proprietary blend of two powerful ingredients not combined anywhere else in the world! NEM® an all-natural food-sourced ingredient taken from eggs, delivers chondroitin, hyaluronic acid, glycosaminoglycans and key proteins like collagen. This patented ingredient has published studies that show it supports a healthy range of motion, enhances joint comfort and flexibility, promotes healthy cartilage, decreases stiffness in muscles and joints and promotes fast recovery from exercise – basically everything your joints have been begging for! We further increased the benefits in this breakthrough formula by adding curcumin from turmeric - and not just in any form - but a version, BioCurc®***, that uses a proprietary, patented emulsification technology. This technology increases curcumin’s bioavailability by 200% – allowing your body to absorb and utilize it more fully. This natural herb has been trusted for thousands of years to support joint health and provide antioxidant benefits. Today, curcumin is the subject of thousands of published studies looking to uncover each of its many benefits. By taking a trusted ingredient and bolstering its power, we’ve combined the best of science and nature. Whether you’re an athlete at the top of your game, a weekend warrior, or just looking to enjoy more freedom in your everyday life, these two powerful ingredients will help you get moving in three easy-to-take softgels. What are you waiting for?